Although Meizu Pro 6 was appreciated for packing impressive specs into a relatively cheap frame, it was blamed as a jarring copycat of iPhone design. This time, Meizu seems to have decided to change this blame, and made a shift from an iPhone design to that of Samsung. 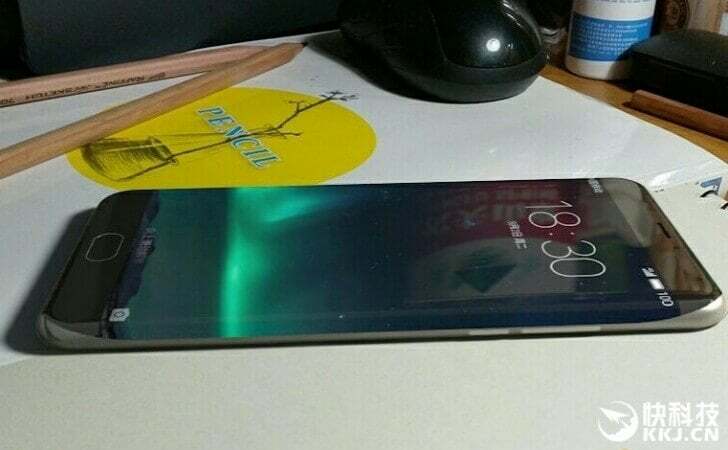 A leaked image of the upcoming Meizu smartphone depicts a curved display like that of the Samsung S6 edge. Rumoured to be called as Meizu Pro 6 Edge/Pro 7, the device is expected to come with a price tag of $450 (approximately Rs. 30,350). The device will run Meizu’s upcoming Flyme OS 6, which is based on Android and is expected to house some of the ‘Edge’ features of the Samsung Galaxy Edge series of smartphones. As the Meizu Pro 6 was launched just recently, so we think that the company might take some time to launch the edge variant. Going by the reports, we expect the phone to be launched by the end of this year. Stay tuned with us for more updates.